Guest: Dr. John Jurist; Topics: Human spaceflight space radiation issues, large rocket acoustic signatures, space settlement, human spaceflight to Mars, ethics. Please direct all comments and questions regarding specific Space Show programs & guest(s) to the Space Show blog which is part of archived program on our website, www.thespaceshow.com. Comments and questions should be relevant to the specific Space Show program. Written Transcripts of Space Show programs are a violation of our copyright and are not permitted without prior written consent, even if for your own use. We do not permit the commercial use of Space Show programs or any part thereof, nor do we permit editing, YouTube clips, or clips placed on other private channels & websites. Space Show programs can be quoted, but the quote must be cited or referenced using the proper citation format. Contact The Space Show for further information. In addition, please remember that your Amazon purchases can help support The Space Show/OGLF. See www.onegiantleapfoundation.org/amazon.htm. We welcomed back Dr. John Jurist to the show for a discussion on human spaceflight radiation issues and large rocket acoustic signatures. Toward the end of the discussion, space settlement, HSF to Mars and ethical issues were made part of today's program mix. During the first segment of our 1 hour 45 minute program, we mainly talked human spaceflight radiation issues. This included shielding, lifetime radiation exposure limits, spaceflight risks, Mars, and much more. Several times during this discussion Dr. Jurist referenced his PPT presentation, "Radiation Biophysics and Human Spaceflight." If possible, I will upload this presentation to the comments section of the website so check it from time to time to see if document is there. Also in this segment, Dr. Jurist addressed some of the issues pertaining to the magnetosphere radiation shielding work of Dr. Ruth Bamford at Oxford University (https://www2.physics.ox.ac.uk/contacts/people/bamford). Dr. Bamford has presented her research on astronaut radiation shielding at major conferences and through multiple publications. You can easily find her research with a simple Google search. John talked about her research and thought it deserved funding and more research as it might show some promise. As a result of talking about Dr. Bamford's work, listeners brought up questions and issues around genetically engineering astronauts for space travel. In the second segment, we turned our attention to noise issues with very large rockets given the recent announcement by SpaceX to build a rocket for Mars that would be about 4 times that of the Saturn V. John took us through the acoustic signature issues of rockets, noise dampening, and what happens with very large rockets and the noise they produce. We talked about noise dampening, the physics behind shielding from noise, decibel levels, risk levels for humans and more. Dr. Jurist address launch pad constraints and current sound mitigation efforts. Listeners had many questions including asking about noise levels for a potential nuclear rocket or a rocket launching from Mars. Don't miss what John had to say in response to these questions. Listeners also wanted to know about SpaceX engineering for very large rockets and how they planned to deal with the acoustic issues, wondering aloud on the show if they were even aware of such issues. John suggested their engineers were very serious about their design work and were working the problem without publicity. We also talked about the acoustic levels for SLS, the Space Shuttles and the old planned giant NOVA rocket. Both John and I have attended SRB 4 and 5 segment booster tests by ATK (now Orbital ATK) and experienced first-hand their noise levels. As we were nearing the end of the show, John was asked for his opinions on space settlement and human spaceflight to Mars, including his concept of a realistic time line for the Mars flights. John had much to say about both issues, space settlement and HSF to Mars. He did not think the HSF to Mars would unfold in 15-20 years but listen to all of what he said on these topics as his perspectives were most insightful. John also raised ethical issues and I asked if there should be different risk acceptance levels or rules for a private mission as compared to a publicly funded and supported mission. Trust me, you do not want to miss what he said about in response to these questions. As we were ending the show, Dr. Lurio started sending me text messages regarding an updated email he received from Dr. Bamford and her work. As best as I could, I relayed the text message information to Dr. Jurist for his comments. Don't miss this conclusion to our program. 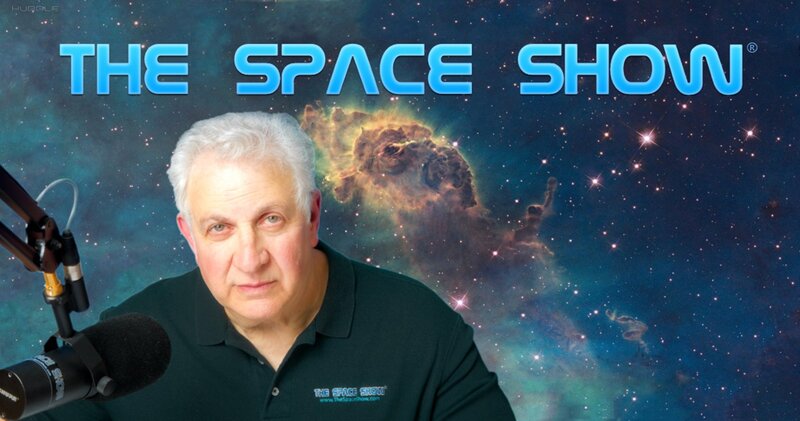 Please post your comments/questions on The Space Show blog which is part of TSS archived program. You can reach Dr. Jurist through me. Note: The Jurist PPT on Radiation link can be found immediately below this archive summary.